I’ve not written about my experience of recurrent miscarriage on this blog yet but it is a topic I have covered many times on my other site, prior to having Emmy I suffered 3 early miscarriages and then between Emmy and Harry I had another 2. These were heartbreaking, devastating and almost broke me. I was sure having a baby was something so easy but my body had other ideas. During my testing for recurrent miscarriage, I discussed IVF with my consultant, especially when it took so long to subsequently fall pregnant again with Emmy following a D&C procedure. It wasn’t something I ended up needing but I do know of many friends who have undergone IVF, friends made online via miscarriage forums which I ended up spending a very long time in during my darkest days. EggDonationFriends is an online platform created for fertility patients interested in IVF with donor eggs or surrogacy. Its purpose is to aid and assist patients in making well-informed decisions when selecting fertility treatment abroad. 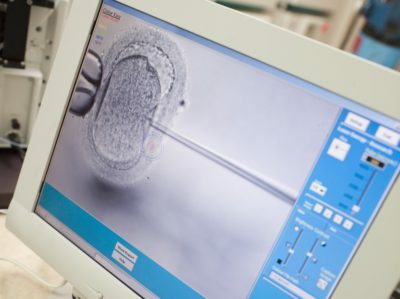 The whole process involved in IVF and Egg Donation can be a mind field, where to go? Which clinic is best? Which has the best success rates and the, of course, there are the costs. Egg donation friends is the brainchild of three patients who had undergone IVF with donor eggs abroad themselves. They knew of the struggles involved in gaining access to the information needed and knew that at times the clinics themselves would omit certain data and some offered false hope. This website advocates total transparency about the whole IVF treatment process from start to finish, omitting no details and even adding the clinic’s rankings for you to see. The site is more medical knowledge oriented than an emotional support blog – let’s face it, once you have comes to terms with needing IVF/egg donation you want more hard facts than anything else. They try to publish all the facts and information that clinics like to miss out on or try to hide away. One of their ongoing projects are – #IVFWebinars – these are organised live webinars for patients run by IVF specialists from all around the world. They have already held 30 live webinars so far and plan to host around 60 in 2019. These are free for patients and they also make a transcript from the Q&A’s section and publish it within a recorded webinar. This is a very useful website for those who are about to undergo the IVF process. You can find out more about the webinars on the website, I particularly found the one entitled recurrent & spontaneous miscarriages – are donor eggs a cure? rather interesting due to my personal experience of this topic. ← Parenting Ain’t Easy – It’s Not Cheap Either! Thank you for this post, I’ve been trying to research clinics abroad and it’s far from easy to compare. I’m off to check out this site.